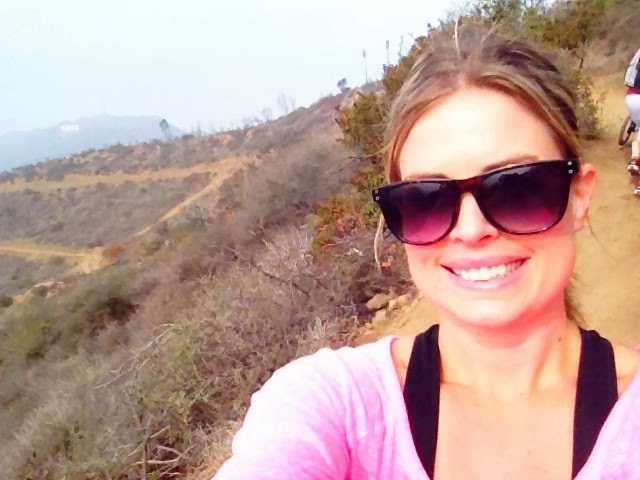 A week ago, we went on the Hollywood Hills hike. It was the perfect day for it. Great weather.We have done it before, but that was before Hudson. Let me tell ya, pushing a nearly 30 pound toddler up a very steel hill side will work every muscle you have. 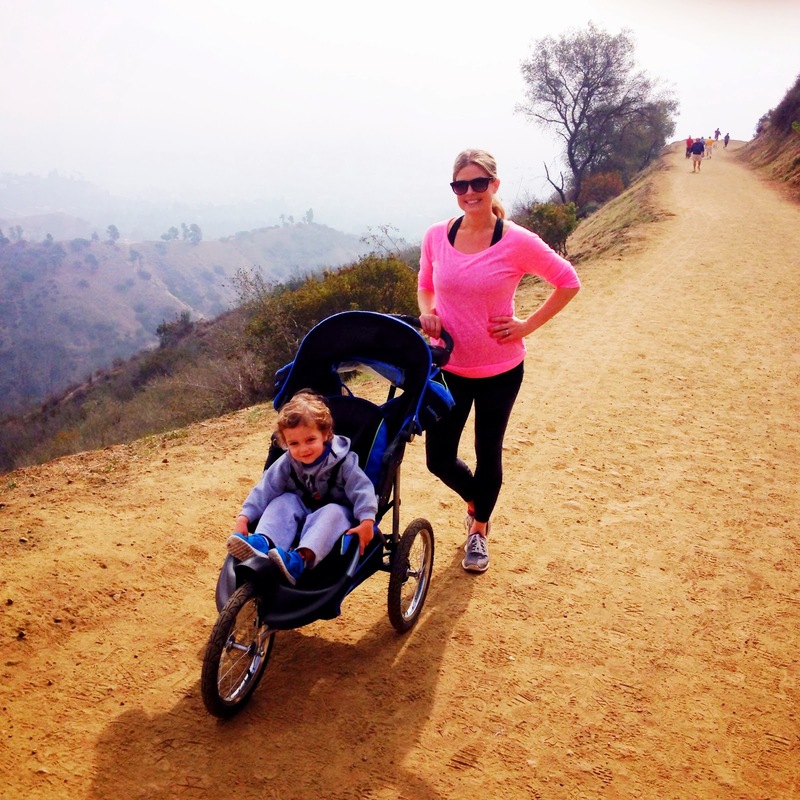 On the way up, a jogger said, "First stroller I've seen. He's going to have a great life." I love that. He will have a great life. 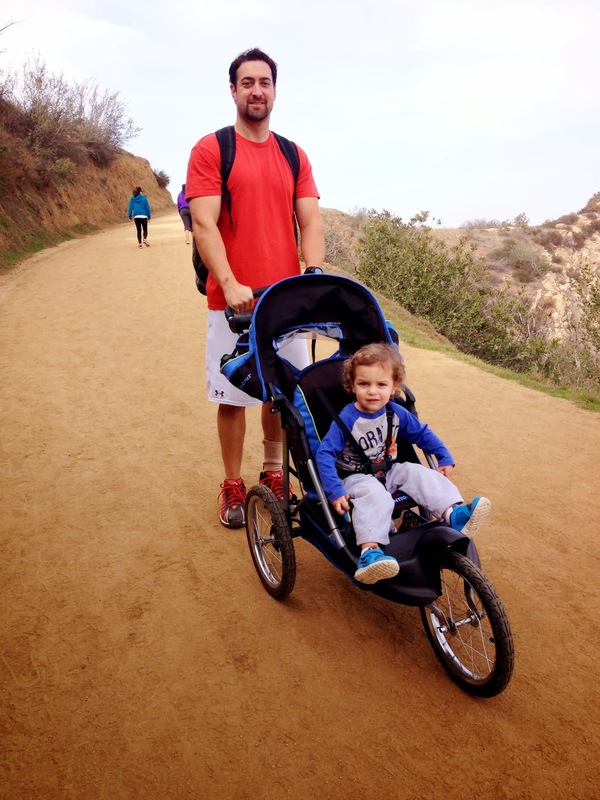 We are hoping to set a good example of fitness and health for Hudson. It was a beautiful morning. Unfortunately, the day turned for the worse. 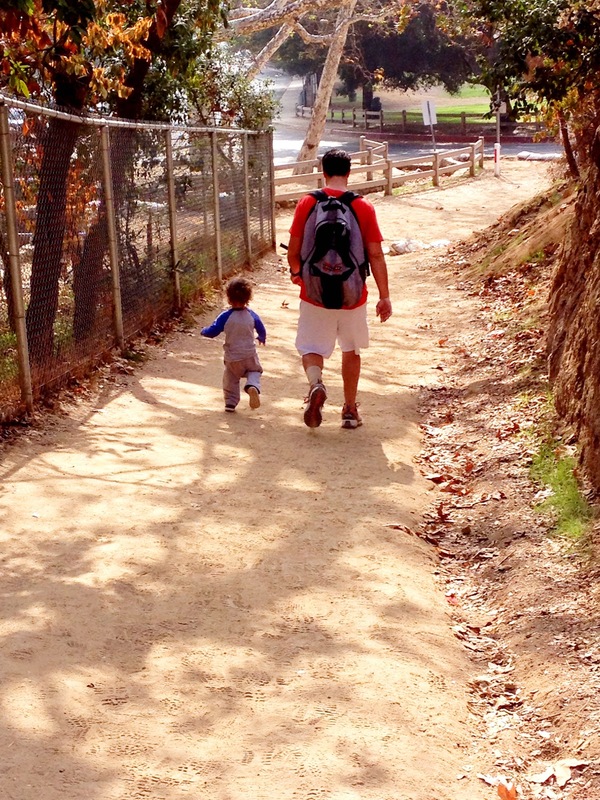 We decided to go ride the Griffith Park train, but got there two minutes too late. They were closed for lunch, but Hudson saw the train and he didn't understand why he couldn't go on it. It was the fist time he experienced disappointment. He threw his first real temper-tantrum. He cried and screamed the entire way home. Nothing I did calmed him down. I was so sad for him. He didn't understand. He loves his trains.